Long before Kamm, the 5-year-old Belgian Malinois, ended on the excess list and in search of a home, he developed the reputation as a problem child. The day he arrived from the working dog facility in Texas, it took three people to hold him down in order to perform an in-processing physical exam. During his explosives detection course, he was paired with a handler who had his heart set on an easy-going Labrador Retriever. After graduation, this original handler quickly got himself re-teamed to another dog, and Kamm was passed to a series of handlers who had variable successes managing his behavioral quirks. Kamm’s latest handler, Fish, was a tall, quiet, laid back character who had been a collegiate swimmer in a previous life. Fish was almost the perfect counterpoint to Kamm’s high-strung demeanor, and from all accounts they were working well as a team. Fish had scheduled a time to bring the dog up for his annual veterinary work up, which included a physical exam, routine bloodwork, and vaccinations. I dreaded the impending s-storm, and spent some time trying to get into Kamm’s head during my daily sweeps through the kennels. At first, I thought Kamm didn’t like me personally, but when I entered his run, he would jump up for attention like any of the other non-aggressive retrievers. I knew from experience that this Jekyll would immediately transform into a snarling, snapping Hyde the moment we entered the veterinary clinic, and over time, a scheme began to swirl in my head. On the day of his visit, I briefed Fish on the plan: he would take Kamm to the back run and walk completely out of sight, I would then go in and do everything by myself. Up until that point, Kamm had aggressed to everything and everyone except the person holding his lead. By taking the handler out of the equation, I became his leader and he may allow me to work on him without a fight. A look of severe uncertainty washed over Fish’s face, but being the good Soldier he was, he reluctantly followed orders. He put Kamm in a back run and walked out of sight. After a few minutes I went in. Kamm was calm and relaxed, and I gave him a few more minutes to settle to my presence before I gently slipped a muzzle over his head. I reinforced my control by giving him a couple of obedience commands before going to work. I performed my physical exam, drew some blood from his front leg, and gave him his vaccines; Kamm remained totally relaxed and calm throughout the entire process. I took off his muzzle and he nuzzled for attention as if on my daily kennel walks. I left the run, and after a few minutes, Fish went in and retrieved his dog. It was a small success, one that would be repeated in future visits and with Kamm’s partner in crime, Baron, an 80-pound Dutch Shepherd with the same aggressive behaviors. Kamm’s undesirable behaviors stemmed from anxiety and fear in response to certain stimuli. By picking apart the variables that contributed to his response, we were able to modulate the level of stimulus, and subdue his negative behavior. 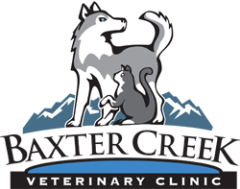 While effective, this approach is specific to the particular stimulus (vet visit). Because it is impossible to prepare for every possible stimulus which may invoke an unwanted response, there is no cut-and-dry method for training a fearful dog. Each plan has to be customized to the individual animal, and the goal is to manage behavior rather than completely eliminating stress and fear. Managing behavior is as much about training the handler as it is the dog. I cringe when I see people with good intentions adopt fearful animals with histories of poor socialization, neglect, abuse, or anxious personalities. No amount of positive thinking will eliminate the underlying drives. They may be able to minimize stimuli in the home environment, but the moment they try to take the dog into the big world, they find themselves way over their heads. They lack the reading and handling skills when the dog goes off the tracks in the face of dynamic and uncertain circumstances, and the end result is sometimes a bite. It is with this in mind that I made my recommendation to the command that Kamm NOT be considered for adoption, a notion supported by the kennel masters and senior handlers of the unit. Unfortunately bureaucrats usually have the final say in government, and decisions are based on statistics and budgets rather than common sense. The dog food bill must have been high that month, because it was decided to get Kamm off the books and he was adopted to a servicemember with no working dog experience. We found out a month later that Kamm had bitten someone.